Road collisions responsible for a fifth of trauma admissions to hospitals, according to new research revealed by Brake as it calls for more action on speeding. Published as Road Safety Week (20-26 November) opens with a focus on ‘Speed Down Save Lives’ this year, the figures obtained by the road safety charity Brake from the Trauma Audit and Research Network (TARN) show 11,486 road users – the equivalent of 31 a day – were admitted to trauma centres in England and Wales with life-threatening injuries. The regions with the highest proportion of road collision trauma patients were the Thames Valley (25%), North West London (23%), the West Midlands (23%), the East Midlands (22%) and East England (22%). Brake also analysed data covering 75,820 road crash victims admitted to trauma centres during the last decade and found motorcyclists comprise the largest proportion of admissions (25%), followed by drivers (23%), pedestrians (21%) and cyclists (16%). The data also reveals that young people (16-25 year olds) are the most affected age group, accounting for more than one in five (21%) road traffic trauma admissions. 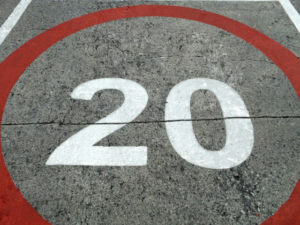 In response, Brake has reiterated its calls for a default 20mph limit in all built-up areas, increased enforcement and ‘Intelligent Speed Adaptation’, which helps drivers stay within the limit, to be fitted as standard to new vehicles.